WASHINGTON (AP) - Americans ramped up their online shopping and restaurant spending in October, but barely-there inflation kept overall retail sales growth muted. The Commerce Department said Friday that retail sales rose a seasonally adjusted 0.1 percent last month, after being unchanged in September and August. Over the past 12 months, sales have risen 1.7 percent. Lower gasoline costs and meager inflation have downplayed the extent of consumer spending, as the retail sales report is not adjusted for price changes. The U.S. economy has increasingly relied on consumers to propel growth. Consumer spending has been crucial for offsetting the drags caused by a global economic slowdown and cheaper oil prices and a stronger dollar hurting U.S. manufacturers. The October report suggests that some retailers had been expecting a busy holiday season, as one of the most critical drivers of retail sales growth - auto dealers - saw sales slip last month. But retail earnings that arrived this week have been far from robust. Nordstrom cut its guidance for the year due to soft sales across all merchandise categories. That followed a warning from Macy's on Wednesday, which said it was sitting on excessive inventories. "What is worrying about the report is the combination of soft sales in September and October with retailer's guidance that this holiday season will be on the slower side," said Bricklin Dwyer, an analyst at the bank BNP Paribas. 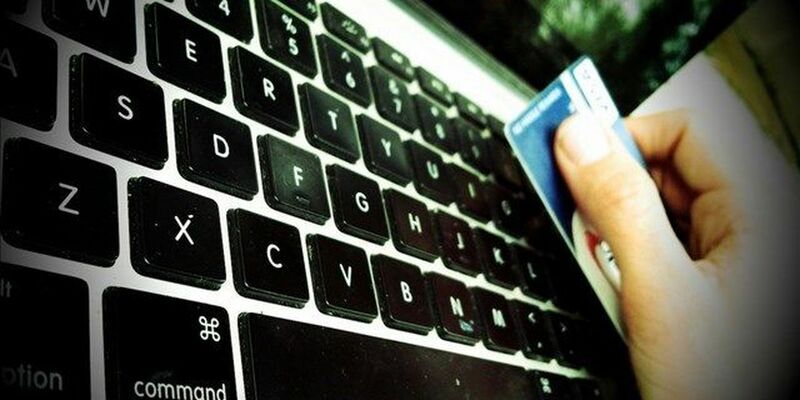 Online purchases climbed 1.4 percent in October. Spending at restaurants and bars improved 0.5 percent. Furnishers, building material sellers, sporting goods outlets and department stores also notched gains. But gas station store sales tumbled 0.9 percent in October and have dropped 20.1 percent over the past 12 months. Spending at auto dealers fell 0.5 percent last month, although sales have climbed 6.7 percent from a year ago. Costs for companies dropped in October, a downward pull on prices for consumers, the Labor Department said in a separate report Friday. Producer prices fell 0.4 percent last month alone. Core prices, which exclude volatile food and energy costs, have risen a mere 0.1 percent over the past year. The lower prices mean that sales have in many cases been stronger than indicated by the retail sales report, said Ian Shepherdson, chief economist at Pantheon Macroeconomics. The weak earnings for traditional retailers contrast sharply with expectations ahead of Black Friday. Holiday spending is projected to jump 3.7 percent this year to $630.5 billion, a gain that would be above the 10-year average in holiday sales growth of 2.5 percent, according to the National Retail Federation. Clothiers hired 19,500 workers in October ahead of the shopping rush, the government said last week. Still, not all of the retail-related hiring will appear at stores and showrooms. Online retail giant Amazon announced plans last month to hire 100,000 seasonal workers, a massive 20 percent jump from last year that reflects how internet shopping is also changing the transportation and warehousing sector. The auto sector appears to remain solid even with the decline in sales documented by the government last month. Private industry reports show that car and truck purchases totaled 1.5 million in October, a 14 percent increase from a year ago, according to Autodata Corp. Ford projects overall auto sales of 17.4 million for the entire year, besting the record of 17.35 million achieved in 2001.